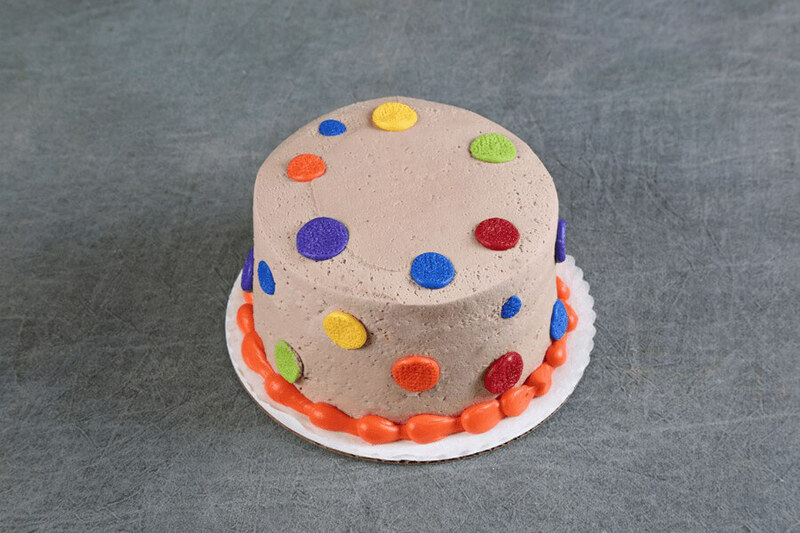 (6″ round serves 4-6) Two layers of UltramoistTM chocolate cake, sandwiched and frosted in chocolate buttercream frosting. Finished off with bright colored polka dots. (8" serves app 12) Two layers of dark UltramoistTM chocolate cake with vanilla creme cheese filling marbled in the batter. Chocolate cream cheese frosting engulfs the middle, sides, and top.